Weddings: What if your photographer lost all your photo files? At Perfocal, we’re passionate about capturing special moments, and they rarely come any more special than your wedding. This is horrible, and we thought we'd do something for Mr & Mrs Simpson. So following the media reports of Jade’s story, we reached out to her and offered a free shoot with one of our professionals in Manchester to recreate some of their lost pictures. 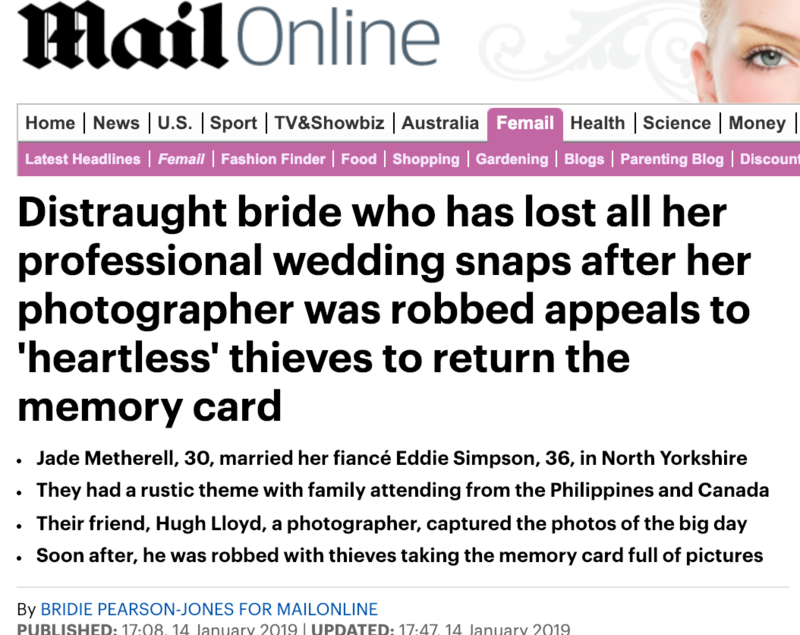 We're super proud that Perfocal's service can be helpful in such incidents - in my opinion, nothing is more meaningful than capturing (or immortalising) people's life memories!